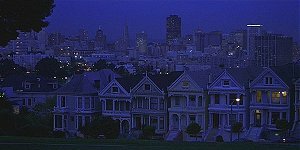  City and County of San Francisco: Except for an establishing shot of San Francisco taken at Alamo Square Park, all of the scenes shot in San Francisco were set in New York, and the one scene set in San Francisco was shot in New York. 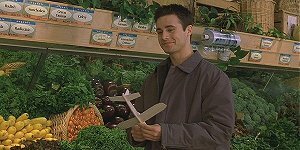 San Francisco filming locations included the Union Street Coffee Roastery, Real Food Company on Filbert Street, KPIX, and Potrero Hill. 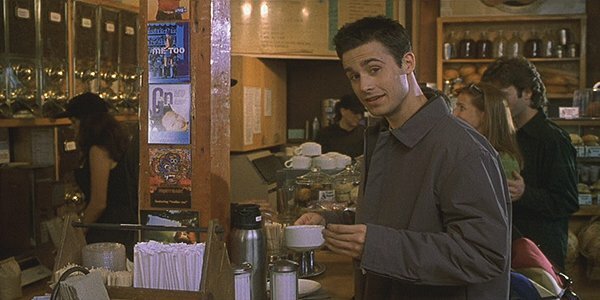 These shots from the opening scene of the movie were filmed at the Coffee Roastery, 2191 Union Street at Fillmore. The waitress in the very back of the second picture is actually Jessica Baumann, one of the Set Production Assistants. This art studio was temporarily built in unused space on the third floor of the KPIX Building, 855 Battery Street at Broadway. 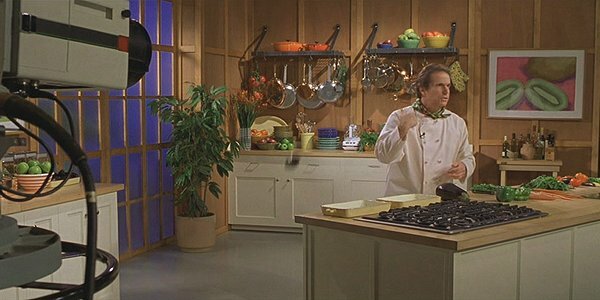 Chef Ray (Henry Winkler)'s cooking show stage was filmed on the fifth floor of KPIX. 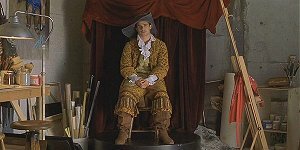 The first shot is from the actual film while the second one was from the trailer only. 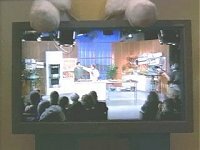 Imogen (Julia Stiles) was not watching the show from home, but from the studio audience. 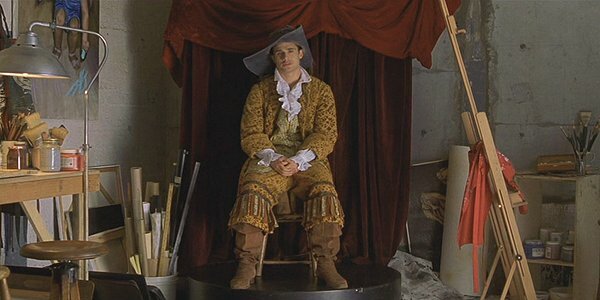 This is back at the Coffee Roastery again. 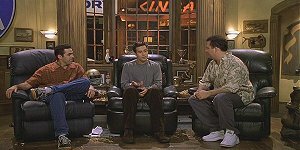 You can see the liquor store across the street. 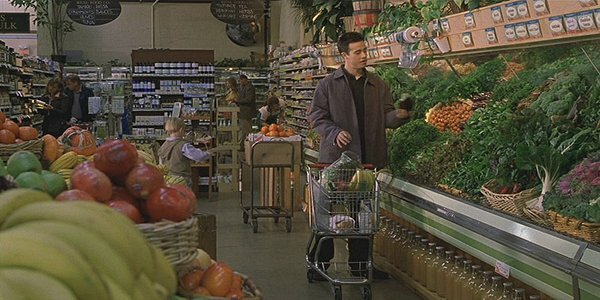 The grocery store scene was shot at the Real Food Company on the corner of Filbert and Fillmore Streets. 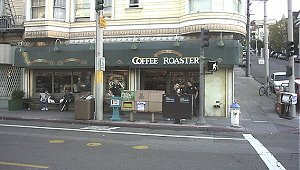 It's actually just one block north of the Coffee Roastery. 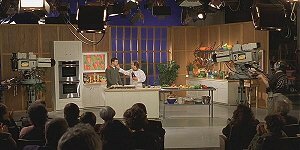 This was a fun appearance by the hosts of The Man Show, Adam Carolla and Jimmy Kimmel. 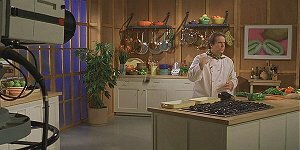 Carolla is also the co-host (with Dr. Drew Pinsky) of the radio show Loveline which appears on KITS Live 105.3 FM in San Francisco and KROQ 106.7 FM in Los Angeles. 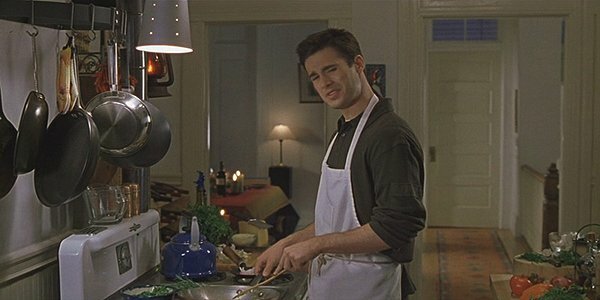 This quick cooking scene was filmed at a home on Potrero Hill at Missouri and -18th Streets, just a few houses north of Charlize Theron's in Sweet November. 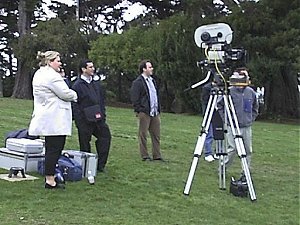 Alamo Square is bordered by Steiner, Hayes, Scott, and Fulton Streets. 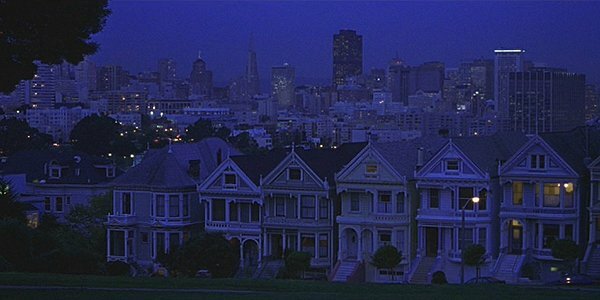 This view faces east towards Steiner Street's "Painted Ladies" which have appeared in numerous other films (notably Invasion of the Body Snatchers and Bicentennial Man). but it was filmed in New York. 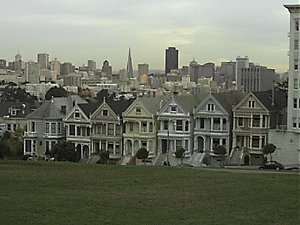 The view from the park overlooks the famous "Painted Ladies" and the Financial District skyline. 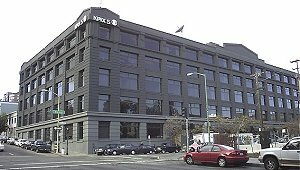 The exterior of the KPIX/CBS-5 studios on Battery Street at Broadway. 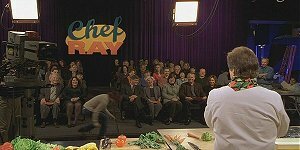 Besides broadcasting the local news, they have extra space to rent out to film crews. 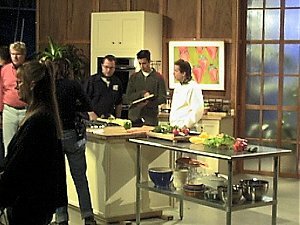 Director Kris Isaacson prepares with actors Freddie Prinze Jr. and Henry Winkler on the set of the mock TV studio for Winkler's character that they built on a KPIX stage. 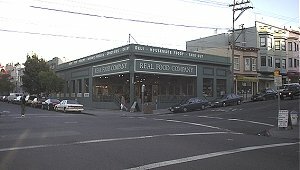 The exterior of the Real Food Company, located on Fillmore at Filbert. The store has a very friendly staff and an amazing selection of organic, healthy foods. This is some of the lighting set-up that went through the store windows. Inside, Freddie Prinze Jr.'s character catches a toy plane thrown at him in the produce aisle. 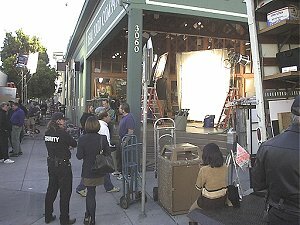 The Coffee Roastery, on Union Street at Fillmore, was the last location that we shot at, but the first to appear in the movie. Actors Lauren German and Zay Harding appear in the coffee house scene along with Freddie Prinze Jr.
Key Set Production Assistant: Jim Taylor. 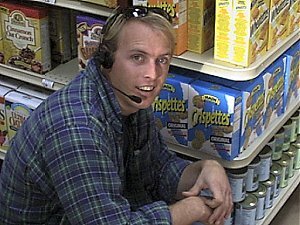 Second Assistant Director: Kevin Le Blanc.